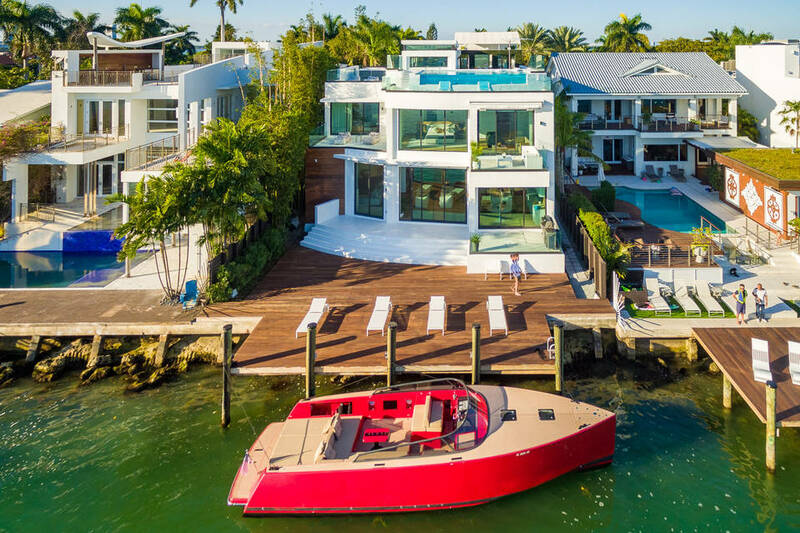 The couple paid $6.4 million for the house in 2013 and embarked on what they thought would be a year-long remodel. The Goldfarbs took the 7,961-square-foot home down to the studs. ‘It was built in 2006, but we totally gutted it down to the cement and redid everything,’ says Mr. Goldfarb. ‘It’s the first big project we did. It wound up taking 2½ years.’ The kitchen countertops are Corian. 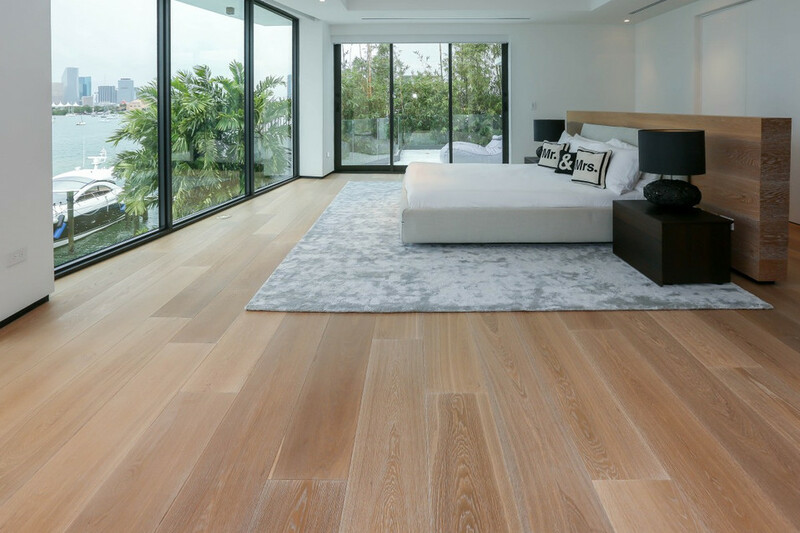 The Siberian white oak used for the floors was also used on the walls to add warmth to the house. ‘The interiors have a Scandinavian feel,’ says Mr. Goldfarb, adding that his wife is from Norway and he is half Norwegian. The house has a Savant smart home system. ‘I can be in Europe and turn on the fireplace from my phone,’ says Mr. Goldfarb. Mr. Goldfarb says the remodel cost almost as much as purchasing the home. They redid the dock, took out walls to create an open floor plan and made the rooftop pool into an infinity-edge pool. ‘We wanted clean lines and openness,’ says Mr. Goldfarb, age 44, the founder of a web design company. Mrs. Goldfarb, age 39, is a stay-at-home mother. ‘You’re looking at downtown Miami, and there are dolphins outside the window when we are getting the kids ready for school,’ says Mr. Goldfarb. The house has seven bedrooms and 8½ baths. An elevator goes to all four levels. 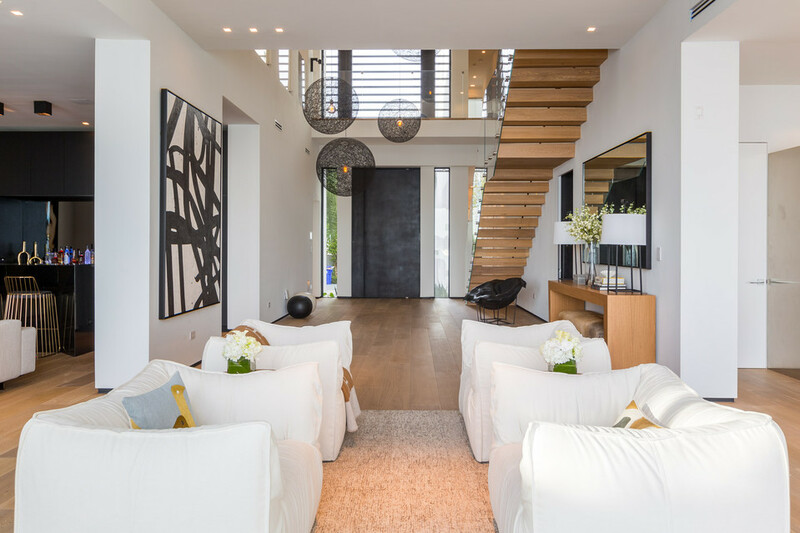 The couple chose architect Paul Fischman of Choeff Levy Fischman. 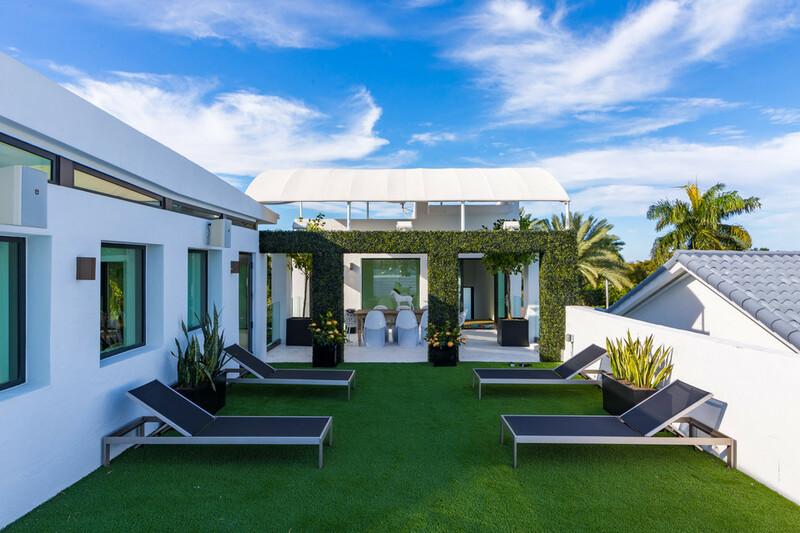 The firm is known for a style they call ‘tropical modern,’ which Mr. Fischman describes as ‘a take on midcentury modern architecture applied to a tropical climate.’ The baseball player Alex Rodriguez is a client of the firm. In the case of the Goldfarb house, ‘a lot of it was bringing Biscayne Bay inside the house,’ he says. Mr. Fischman says they redesigned the closet several times to make sure everything was visible and organized. The top level racks pull down for easier access. ‘We wanted to activate that roof deck,’ says Mr. Fischman. ‘We furnished it and created pod-like elements but still open.’ Some of the landscaping is synthetic. 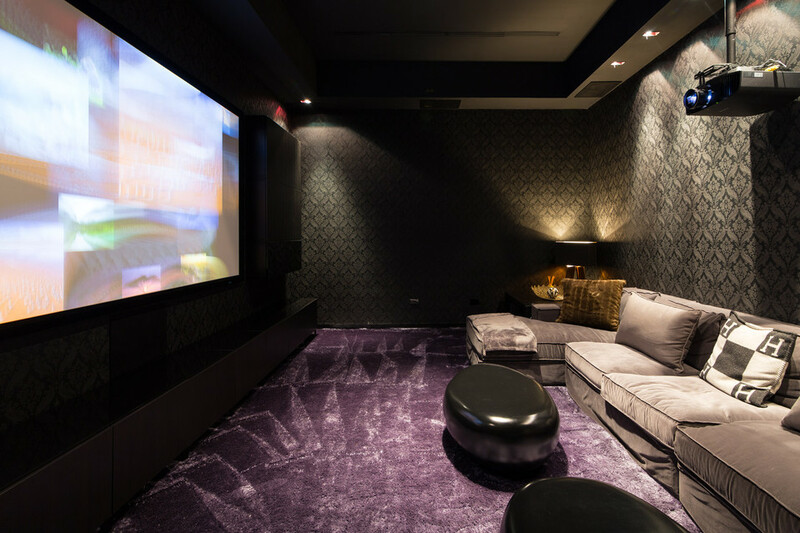 The roof includes a Jacuzzi, multiple seating areas and a ‘man cave’ where Mr. Goldfarb keeps his guitar collection. 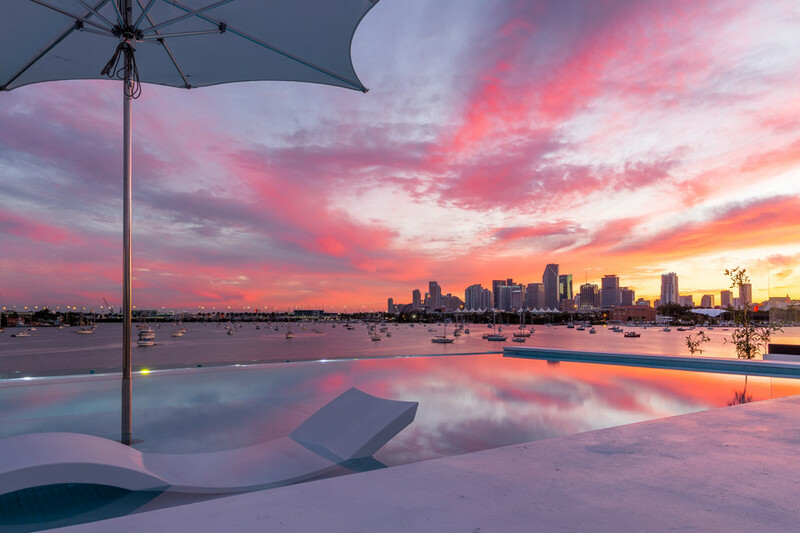 ‘For me the most unique thing is, you’re living in a downtown urban area and you have this natural beauty and yet you’re looking at downtown Miami and cruise ships,’ says Mr. Goldfarb. The pool has a swim jet and an underwater speaker. ‘When the kids are up there they have me crank it up,’ says Mr. Goldfarb. The couple are selling as they may move. ‘We have four kids and we’re thinking of relocating abroad, and we want to travel and explore different cities,’ says Mr. Goldfarb. The sauna was imported from Italy. 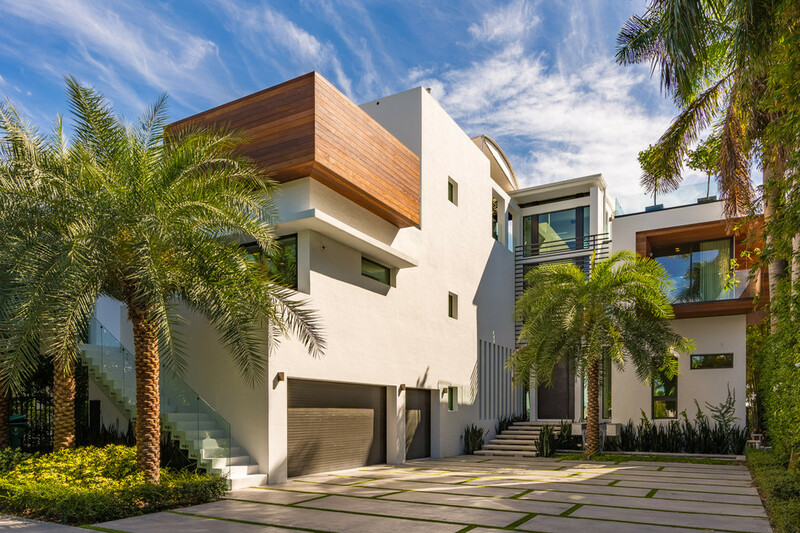 The exterior is stucco with ipe wood and bronze accents. 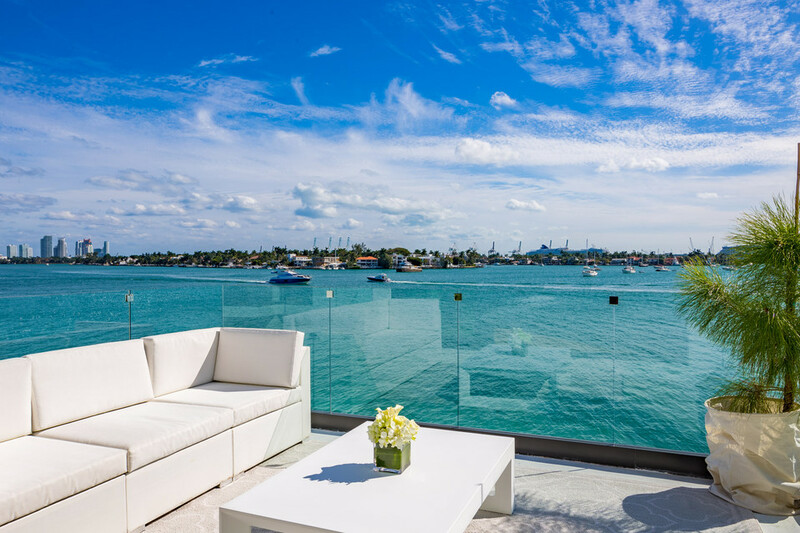 The home, which Mr. Goldfarb calls Villa Venetian, has an asking price of $16.95 million, including the furnishings. Barry Segal of XLN Realty has the listing.